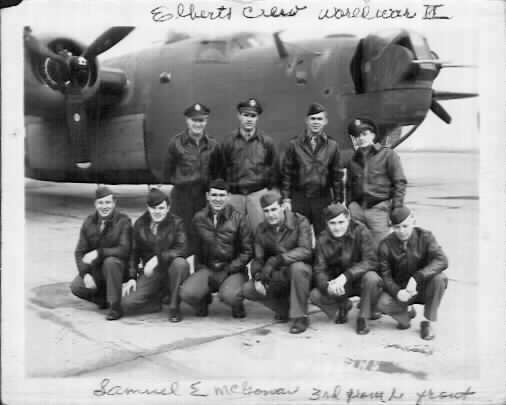 In the winter and spring of 1944, my dad, Samuel E. McGowan, was part of "The Mighty Eighth" Air Force, flying combat missions over Germany and occupied Europe with the 328th Bomb Squadron, 93rd Bombardment Group (Heavy) of the Second Air Division. The picture on the left is of "Naughty Nan," a 328th airplane that my dad's crew flew on several of their missions. While I'm not sure if they were in Nan when this picture was taken on a mission to Fredrickshafen in March 1944, his record shows that they flew on both missions and it's likely that they were. My dad entered the Army Air Corps in 1942 and was sent to Wichita Falls, Texas for basic and aircraft mechanics training. His first Army assignment was as a member of the ground crew of an observation plane. He was then sent to the Douglas Aircraft plant in Santa Monica, California to train as a mechanic on the A-20 light bomber. He was ordered overseas with a group that was headed for North Africa but at the last minute his orders were red-lined and he was put in the pipeline for B-24 Liberator flight engineer training, including aerial gunnery training at Wendover, Utah. Naughty Nan taxing out for a mission. My dad flew thirty combat missions commencing during "Big Week" in February 1944 and continuing through the end of May. Upon completion of his combat tour, he remained in England for several weeks and was assigned to a special base defense force driving a small tank. He came back to the United States on a Douglas C-54, expecting to go to Florida for an R&R. But when he got to Panama City, Florida, he was put in the pipeline to train for a new Air Commando outfit that was destined for overseas duty in the Pacific. 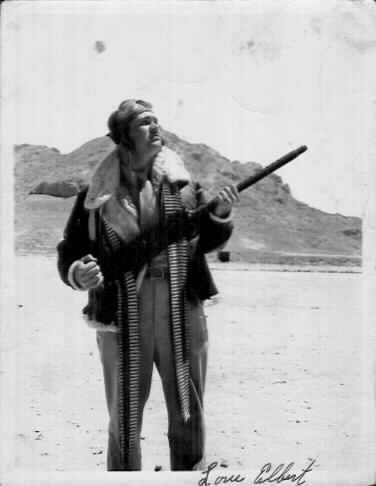 Finally, after much protest, the Army realized he wasn't due to return overseas and he was assigned to the B-24 crew school at Smyrna, Tennessee as an instructor. After the war he returned to West Tennessee and after working for a few years at an Army ammunition plant on the guard force, he returned to farming and spent the rest of his life in the fields. He passed away in August, 2003.
disasterous mission, Uncle Del's crew was the only one from his squadron to return. 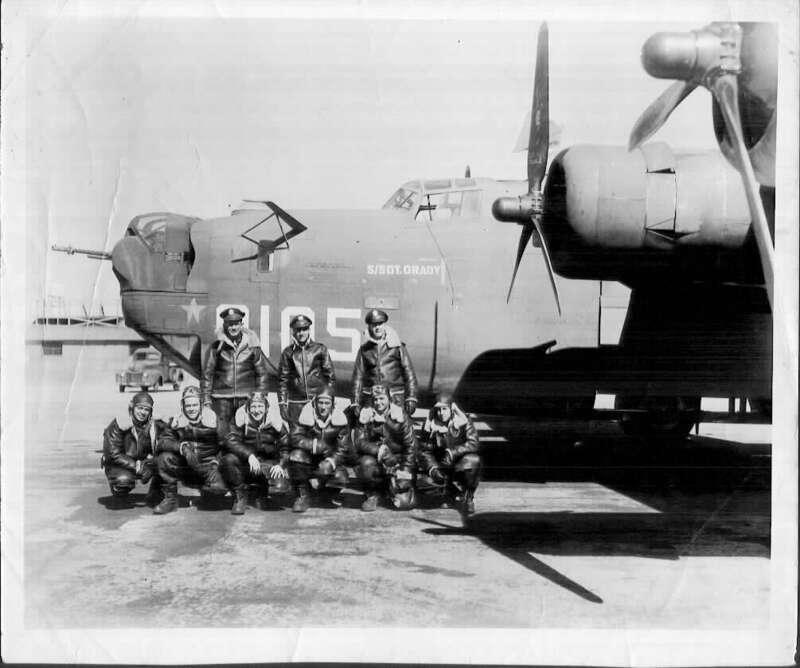 A few weeks later the 492nd was broken up and he and his crew went to the 467th Bombardment Group. 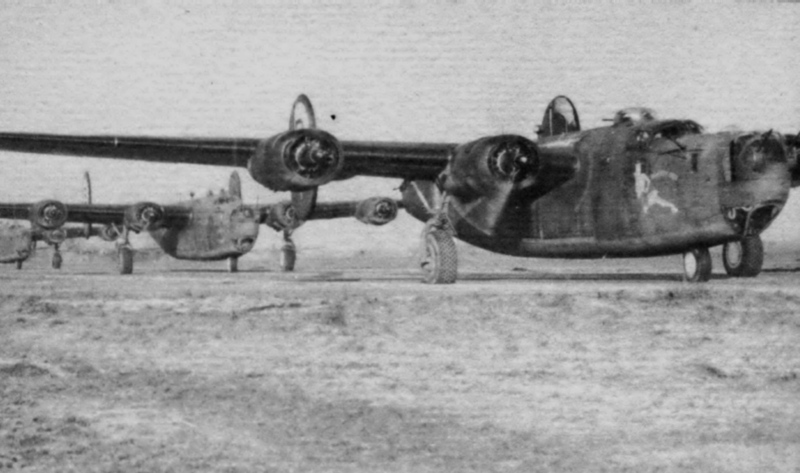 Uncle Delmar's missions were flown in the latter half of 1944 and included several "trucking" missions delivering supplies to Patton's Third Army in France and supporting the MARKET airborne invasion of Hollland. He remained in the Army after the war and flew a combat tour in B-29s during the Korean War, then spent several years flying RB-36 reconnaisannce aircraft for Strategic Air Command out of Travis AFB, California. He was caught in a RiF in 1958 and served out the remainder of his 20 years as an enlisted man before retiring as a major in 1962. He died of a heart attack in 1994. A new documentary film about a crew from the 492nd. Uncle Del's combat record with the 492nd. 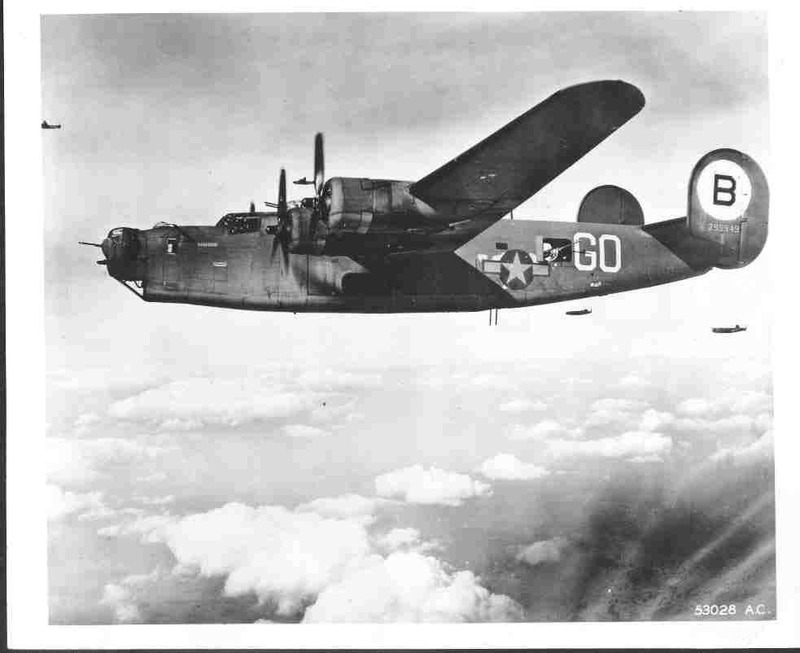 The Eighth Air Force saw the most combat of any American unit in World War II and suffered the heaviest losses. More than 26,000 Eighth Air Force crewmen died in combat, almost half again as many as the less than 17,000 United States Marines killed in the entire war. Click MILITARY or HOME to Return.